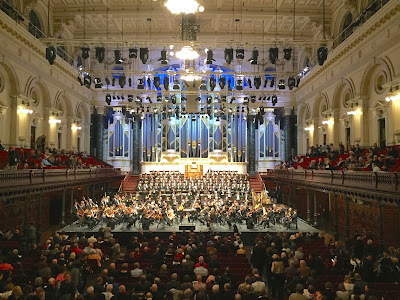 This Mahler 2 with the SSO conducted by David Robertson was a strange affair. There was always something odd about it - a late addition to the calendar, very poorly marketed right to the end, in the Sydney Town Hall rather than the Concert Hall. 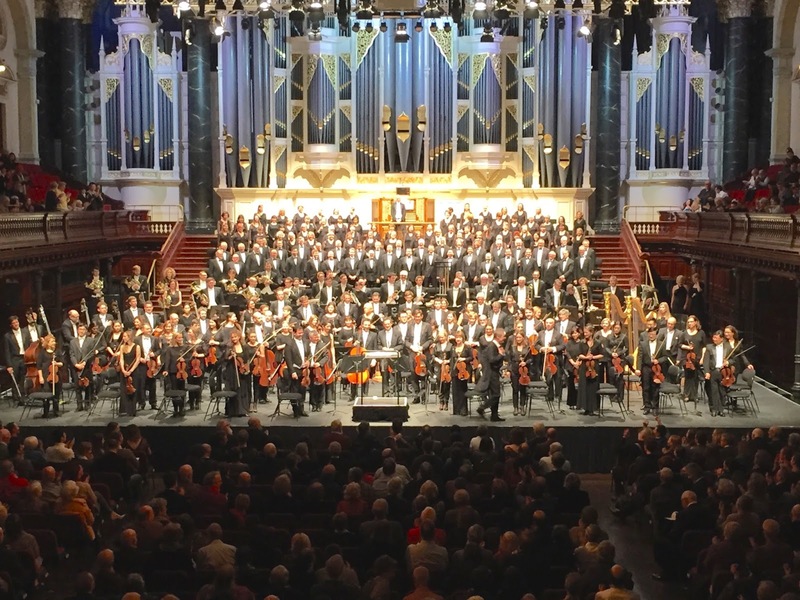 And for this massive work, with Robertson getting the orchestra in good form and now doing his first Mahler anything in Sydney, there seemed to be not nearly enough interest. It showed on the night with the side galleries barely half full. Perhaps the venue and the composer were filters and only true believers showed up. A hazarded guess might be that they were testing things out for the concert hall closure. The Town Hall wasn't my first exposure to the SSO. That was orientation week 1965 in the Great Hall where I stumbled into Dvorak's New World. Revelation is an understatement. But, with a gentleman companion, there were to be notable concerts ahead in the Town Hall and usually in the East Gallery, where Sheila Scotter would be ensconced, in black and white. 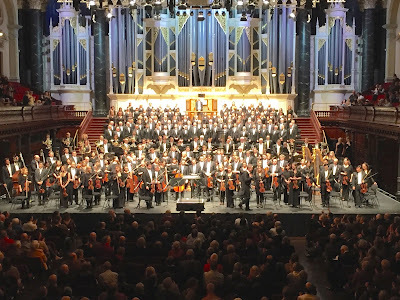 That said, most memorable was the front of the main hall for my first ever Mahler - DLvDE with Yvonne Minton. Revelation is an understatement. The most recent I remember was the Shostakovich Festival where I opted for the East Gallery and thought it was all terrific. So here we were for Mahler 2 in the front row of the East Gallery where, note to self, the leg room is limited. Everything looked splendid, especially the great organ. The concert platform had been extended well out (to Row M). Harps and double bass had swapped sides and the cellos were behind the first violins. It is a warm sound, but suddenly you recall and wish for some of the clarity of the Concert Hall acoustics. The choir sounded a bit 'through a scrim' with their usual impeccable diction sounding less impeccable, though the stunning Urlicht from Caitlin Hulcup (the high point for me) came though beautifully. From where we were, the strings seemed light on (and they've been sounding anything but, lately) and the double bass lacked depth (and foreboding) when you needed it most. Friends sitting in the South Gallery, such that they couldn't see the double bass, thought the strings were fine. If this is a test, then I think South Gallery mid hall might be the answer for where to sit. I wish I could have gone again Sunday - to change seats, and to hear that Urlicht (I played it at Mum's funeral, so it's pretty special) again.